Australia’s concrete industry is going through a massive boom. No other building material has the same level of versatility, sustainability and cost effectiveness! The driver is the surging number of high rise apartments and pumping infrastructure projects. New South Wales leads with manufacturers tipped to produce 9.5 million cubic metres per year in the next five years. As major projects like West Connex, Badgery’s Creek, North Connex, the Pacific Highway upgrade and proposed Western Harbour tunnel and Beaches Link come on stream, the industry will be under pressure to produce concrete a more cost efficient way. 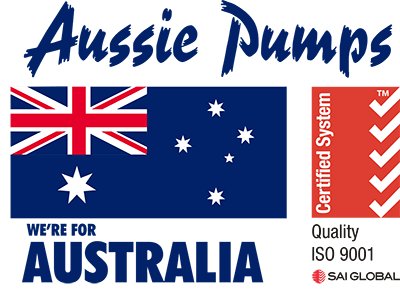 Australian Pump has become the prime supplier of batching pumps for both the industry leaders and even smaller regional plants. “We know the tough conditions batch plant pumps have to endure”, said Aussie Pumps’ Product Manager, Neil Bennett. “We’ve found that Tsurumi submersibles outlast, outperform and offer lower through life costs than all other competitors. Tsurumi’s KTZ series dramatically improve batch plant reliability, reduce downtime and make plant operators lives substantially less stressful when it comes to large project concrete pours”, he said. Australian Pump, colloquially known in the industry as Aussie Pumps, has worked closely with big and small producers to help improve batch plant productivity. Large capacity submersible pumps that fill the batching water tanks faster have been introduced. They improve cycle times and reduce costs. 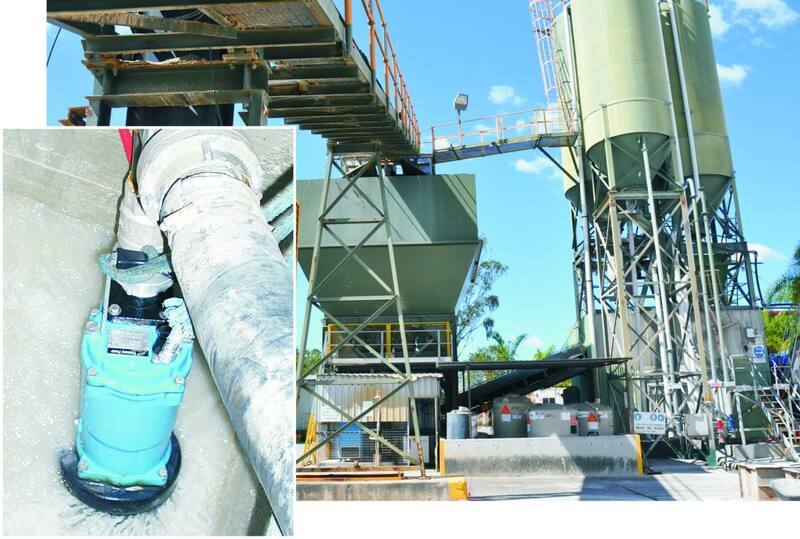 “15 years ago one of the largest batch plants in Sydney installed two Tsurumi 11 kW batching pumps. Those pumps are still performing and have delivered a massive return on investment”, said Bennett. The pumps were installed in the plant to handle corrosive batch water. After years of service, they were pulled out recently for routine maintenance and found to only require suction strainer replacement. There was no need to replace or repair impellers, mechanical seals or even the cable glands on the motors. The introduction of bigger pumps like Tsurumi’s KTZ 411 have substantially reduced batch times and increased the number of agitators out of the plant per hour. The larger pump delivers a higher flow rate at high heads. This cuts times for loading the batch water holding tank eliminating this as a bottleneck. When it comes to investing in plant upgrades, asset managers want to know what the payback time will be for their investment. Aussie Pumps has found that increasing the capacity of the plant by maximising the speed which batch water is delivered makes economic sense! “When you consider the initial investment costs of about $6,000 you have a very quick payback period,” said Bennett. “In busy plants it’s been as little as 1-2 weeks! Given the pump’s performance combined with its ability to reduce costs and boost production, it really stands out as the smart option” he said. Many plants have upgraded their batch water systems to the Tsurumi 11 kW submersible pump. With the capacity to deliver in excess of 1000L of water at a head height of 35 metres, the KTZ411 is an ideal batch water pump! The additional capacity compensates for silted pipework, high sediment levels and the myriad of other ‘real world’ factors that affect pump performance. Reliable pumps are a huge cost saver for batch plants. Not only do they substantially reduce maintenance times but eliminate downtime and replacement costs. “Feedback from our customers is that the Tsurumi pumps constantly outlast anything else in the same application”, said Aussie Pumps’ Product Manager, Neil Bennett. The KTZ411 has been built to withstand abrasive conditions. It offers batch plants a considerably longer service life. It comes fitted with a 3 phase heavy duty 2 pole motor with thermal protection against dry running and is manufactured from heavy duty cast iron with high chrome wear components. The KTZ411 also features anti-wicking cables and silicon carbide seals that function to maximise performance longevity in extremely challenging environments. Like all Tsurumi pumps, these aerators are covered by a unique three year warranty.